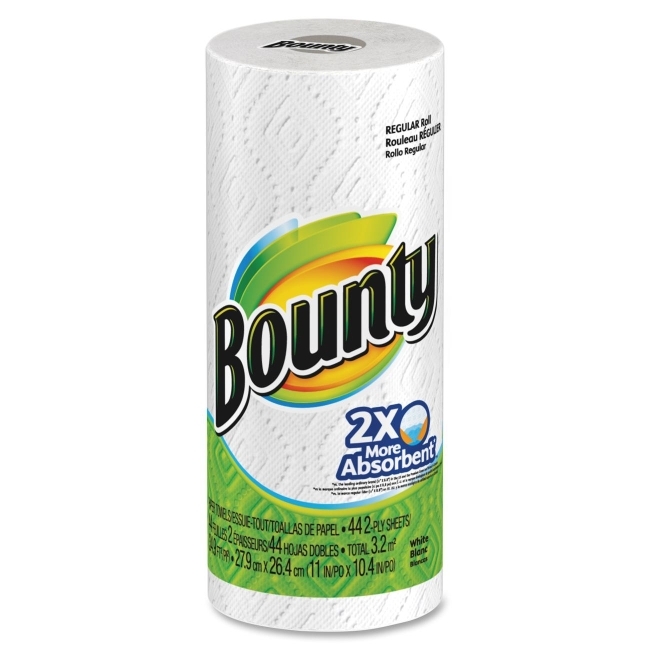 Bounty paper towels are durable enough to tackle your toughest job. Each two-ply sheet is super absorbent and handles spills fast with 25 percent thicker quilts so one sheet locks in the mess. 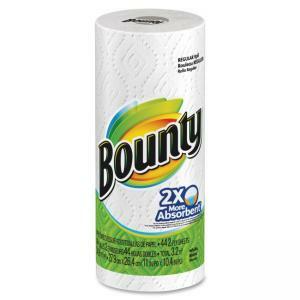 Bounty has the strength, absorbency and clothlike durability to clean the mess with less. Each roll contains 48 sheets and fits standard, kitchen towel dispensers for perforated rolls.